JOAO BOSCO "LEGEND OF BRAZIL"
JOAO BOSCO and his very talented band of Guto Wirtti on Bass, Kiko Freitas on Drums, and Ricardo Silveira on Guitar, arrive from Rio and bring the exciting rhythms of Samba and Bossa Nova to the Birdland stage with influences of Rock and Roll, Jazz, and other ethnic cultures such as, Arabic and African. The basic ingredient of his music is Samba, Brazil’s cultural own. While singing in Portuguese, Bosco makes you feel that the sound of his words are as important as their meaning. He grew up in a musical family, his mother a concert Pianist and his brother a Composer. Bosco concentrated on American Jazz, influenced by Miles Davis, Charlie Parker, Duke Ellington and the great Brasilian musicians Dorival Caymmi and Antonio Carlos Jobim. He worked with Vinicius de Morais and later Aldir Blanc who wrote his lyrics. Joao Bosco made many recordings, especially with the amazing vocalist Elis Regina, one of the greatest Brasilian vocalists of all time. Bosco is revered for writing the protest song “O Bebaido e a Equilibrista” which became the theme song for Amnesty International. 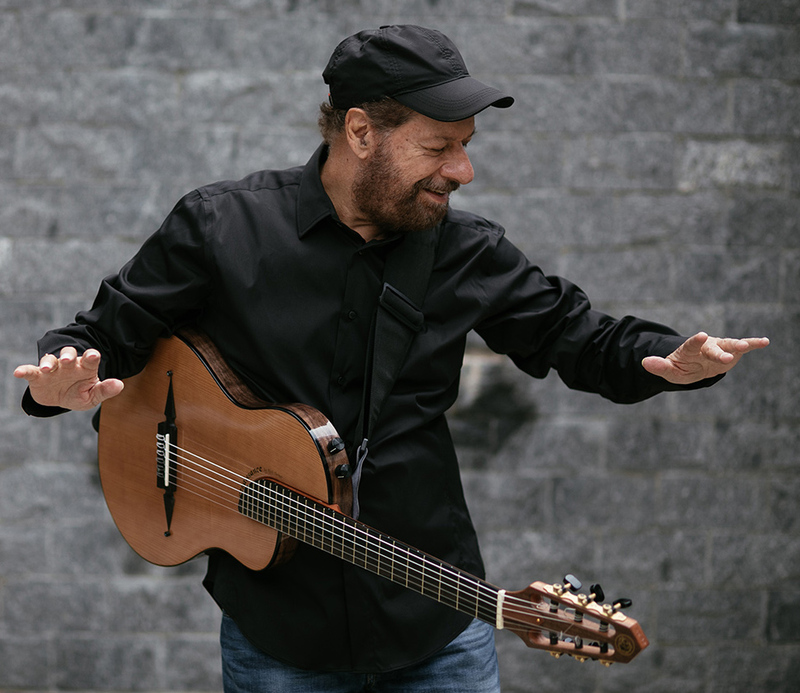 He has made many recordings and has collaborated with greats Antonio Carlos Jobim, Milton Nascimento, and Dorival Caymmi among so many others such as American guitarist Lee Ritinour. Bosco tours the world and carries on the legacy of this important music of his country with his extraordinary talent. JOAO BOSCO says, “Music is everything to me. I am alive because I am singing and playing .” ..
Also sponsored by: The Row Hotel NYC, 44th Street and Eighth Avenue, located in mid -Manhattan and newly renovated.